Tom Chiarella meets Bruce Willis on a Thursday between 1.32 and 3.45 PM. Tom knows this time Bruce will not say a word about his personal life. He must have been talked a lot about it while he was with Demi Moore and also while he was separating from her. Bruce is done with sharing even if this is sometimes hard because he is talkative and, oh well, what makes a good story if not the very personal? Bruce is a newlywed and expecting a baby. His fourth with his latest wife, model Emma Heming. „I’m happy every day”, he says. This he repeats many times, as if to assert that there is no conflict in him and thus no story. The story develops around the peeing. Each paragraph starts with „After the first peeing, Bruce … ” and the reader can identify the kind of information he reads about based on the physiological aspect. But in the end Tom gives us the clue. Willis blames all the peeing on a long morning of fruit juice. Esquire US is so freaking good because 1. authors and subjects of stories know each other from previous encounters 2. the subject is always portrayed as so very human – not a superstar, not a VIP we should praise to, but an ordinary man that loves, sleeps, pees. The glamour is not given by the author but, at most, by 3rd party figures that get in touch with the superstar subjects (author and subject go to dinner and waiter goes WHOAAA when he recognizes the subject) 3. authors are very good observers, they note down each gesture the subject does, every habit he has and then integrates all in the bigger picture of the story. 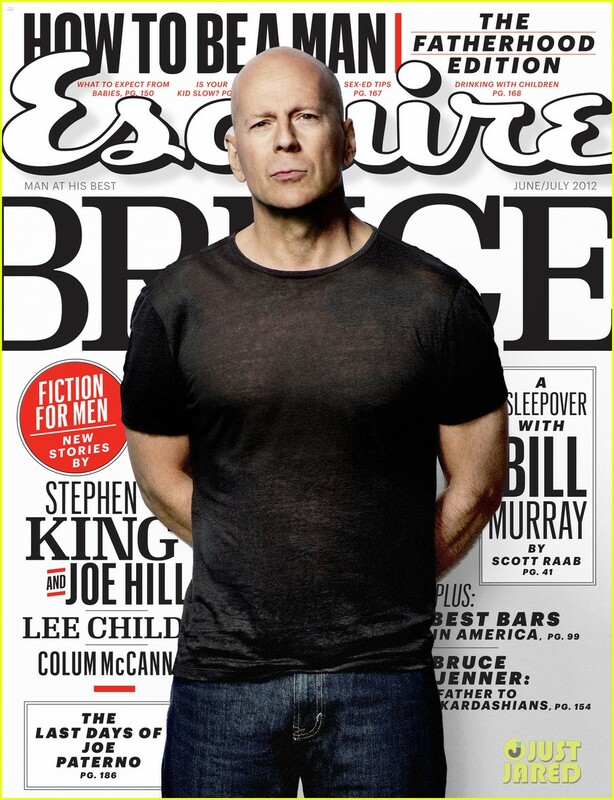 You can read the entire Bruce Willis story HERE.